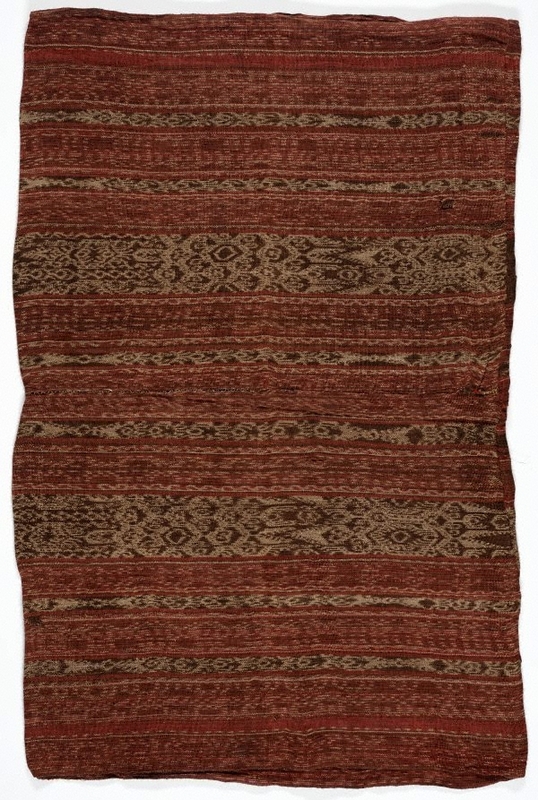 This type of textile is called 'panapisan' and was designed for use by both men and women as either a blanket or skirt. Its enclosed form lends itself to being wrapped around the waist for wear during the day and pulled up over the body for sleeping during the night. 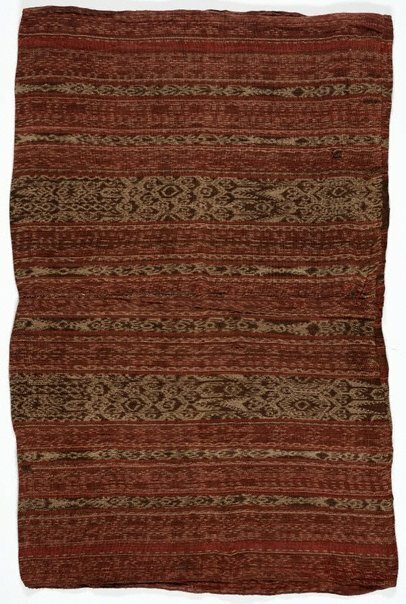 It is made on a backstrap loom from the fibres of the 'abaca' plant ('Musa textilis'), which is a species of banana plant native to the Philippines. Traditionally the stalks of the plants are cut and the layers are separated by rubbing them between the hands or feet until the individual fibres are exposed. The rough fibres are immersed in water for cleaning and softening and are later beaten and left to dry. Once completely dry, they are woven together to make yarn. Patterns with mythical resonance are produced by resist dye and warp ikat techniques. These can be divided into two main categories: anthropomorphic and reptilian motifs, and the hook or key-like shapes which surround other motifs.